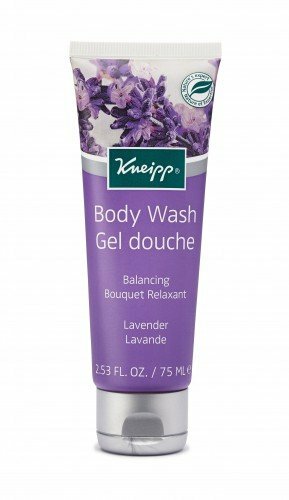 Kneipp Balancing Lavender Body Wash in a travel friendly size. Packed with pure essential oil of Lavender and Vitamins A & E to leave skin soft, supple and moisturised. Designed to provide a balancing effect on your mood and combat fatigue. 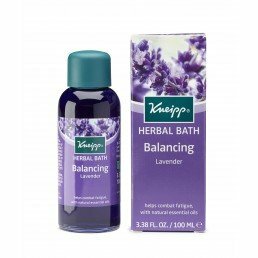 AQUA (WATER), SODIUM LAURETH SULFATE, COCAMIDOPROPYL BETAINE, COCO-GLUCOSIDE, POLYSORBATE 20, PEG-18 GLYCERYL OLEATE/COCOATE, GLYCERYL OLEATE, LAVANDULA HYBRIDA OIL, CAMPHOR, EUCALYPTUS GLOBULUS LEAF OIL, LINALOOL, LIMONENE, SODIUM LEVULINATE, SODIUM ANISATE, PARFUM (FRAGRANCE), GLYCERIN, GLYCOL DISTEARATE, CITRIC ACID, TOCOPHEROL.